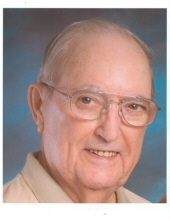 Raymond J. Ouimette, 88, beloved husband of the late Dora (St. Jean) Ouimette passed away Jan. 14, 2019. He was born Jan. 13, 1931 in Oneco a son of the late Conrad and Celia (Shaw) Ouimette and had resided in Plainfield for most of his life. Mr. Ouimette was employed by the former Pervel Industries for 30 years, retiring many years ago. He enjoyed woodworking and computers. He leaves 2 sons Stephen R. Ouimette of Plainfield and Daniel Ouimette of Canterbury; 2 daughters Diane Ouimette of Canterbury and Jane Oglevie of FL; a sister Janet Graley of Plainfield; 9 grandchildren and 7 great grandchildren. A graveside service will be held Friday (1-18-19) at 1:00PM in St. John Cemetery, Plainfield. There are no calling hours. To send flowers or a remembrance gift to the family of Raymond J. Ouimette, please visit our Tribute Store. "Email Address" would like to share the life celebration of Raymond J. Ouimette. Click on the "link" to go to share a favorite memory or leave a condolence message for the family.